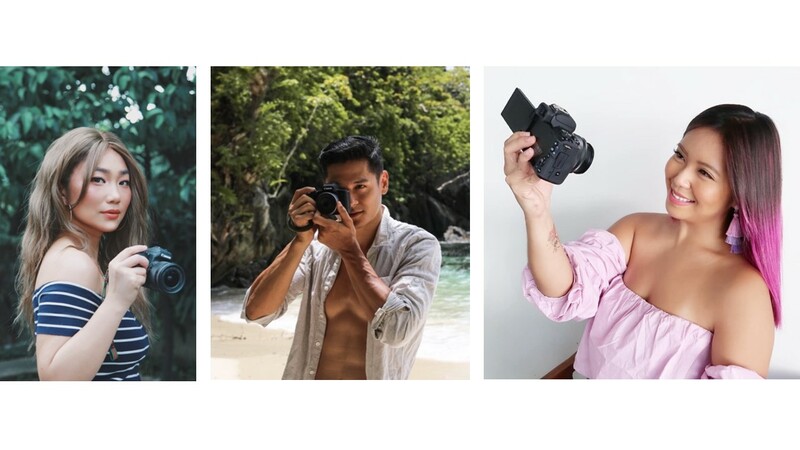 Professional makeup artist and beauty guru Raiza Contawi, model and fitness enthusiast Hideo Muraoka, and lifestyle vlogger Say Tioco are conquering the Internet with every content they make. Manila, Philippines – The emergence of countless social media platforms has given people the ability to communicate and express themselves in a whole new way. If there is one Internet trend that has taken the digital world by storm in the last few years, it has to be video blogging or “vlogging.” In fact, in a Visual Networking Index (VNI) forecast conducted by Cisco, one of the largest tech companies in the world, predicted that by 2021, 82% of web content will be videos. According to Warmbrodt (2007)1, vlogging is essentially the art of creating a blog, sharing bits and pieces of one’s opinions, ideas, and daily life, but in video form. It has become more popular these days because of how easy it can be to produce video materials even on your own and how it can give people the ultimate platform to express themselves creatively. While anyone can turn their camera on, film, and upload a vlog, others take vlogging on a whole different level. For some, vlogging isn’t just an activity—it’s a passion. Take it from these three Filipino content creators who are conquering the Internet with their unique and engaging story telling – Hideo Muraoka, Raiza Contawi, and Say Tioco. 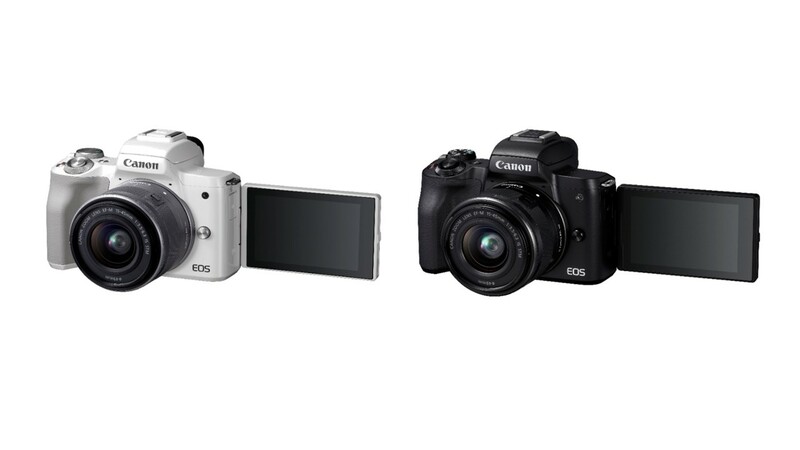 Designed to be friendly enough for first-timers yet packed with professional, cutting-edge functions, the Canon EOS M50 is the game-changing addition to Canon’s growing mirrorless cameras that can help vloggers transform their ideas to life, and take their vlogging journey to new heights. The Canon EOS M50 boasts of having an improved Dual Pixel CMOS Auto Focus with a 24.1-megapixel sensor, covering a larger AF area with up to 143 AF points that provides fast and accurate focusing even when capturing moving subjects. Compatible with the full range of Canon EF-M mirrorless lenses plus over 70 Canon EF and EF-S lenses using a mount adaptor, this impressive entry-level camera steps up to a full-featured camera that will capture moments with beautiful color and detail. Capable, compact, and connected, the EOS M50 is the versatile, feature-packed camera ideal for agile content creators. With built-in Wi-Fi, NFC, and Bluetooth, creators can also easily transfer footage from the EOS M50 to their smart devices as they shoot, giving them the power to instantly share stories captured in vivid moments to their community. Boasting a vari-angle touch screen with fully articulated hinges and built-in Electronic Viewfinder (EVF), the EOS M50 delivers an intuitive shooting experience that allow its users to easily find creative angles while ensuring a highly accurate image representation of what is seen by the camera sensor. For professional video bloggers, the EOS M50 is definitely a dream come true. Compact, stylish, and amazingly light weighing only at 387g, the newest EOS M50 is primed for shooting stunning true-to-life imagery with its Ultra HD 4Kmovie shooting at a frame rate of 23.95p / 25p. Recording of 4K time lapse movies is also supported. Get the Canon EOS M50 kit for Php44,998 SRP at Canon dealers nationwide until July 31, 2018 to get a free mount adaptor and Php800 e-gift certificates via the Canon Red App, or purchase the EOS M50 Vlogger’s Kit exclusively at www.lazada.com.ph. Lazada buyers get to enjoy a special discount of P6,000 when purchasing the EOS M50 Vlogger’s Kit that comes with the all-new EOS M50 in sleek black color, an external microphone, and a wireless remote controller. 1Warmbrodt, John, "An exploratory study of the videoblogger's community" (2007). Masters Theses. 4575.